Veteran stylists and fashion editors Charlotte Stockdale and Katie Lyall have stepped into the design space with the launch of Chaos—and they're making sure everyone knows this It Brand has arrived. The British duo debuted the accessories line—which includes luxe leather iPhone cases in bold colors, gold-plated initial charms, and whimsical metal zippers—exclusively on MatchesFashion.com last week, and they have a killer campaign video featuring top fashion models from Karlie Kloss to Binx to promote it. Now that's how you launch a new label. In the Yvan Fabing–directed video, models sport a variety of silk tracksuits with the brand's name emblazoned on them and show off the playful collection of phone accessories. 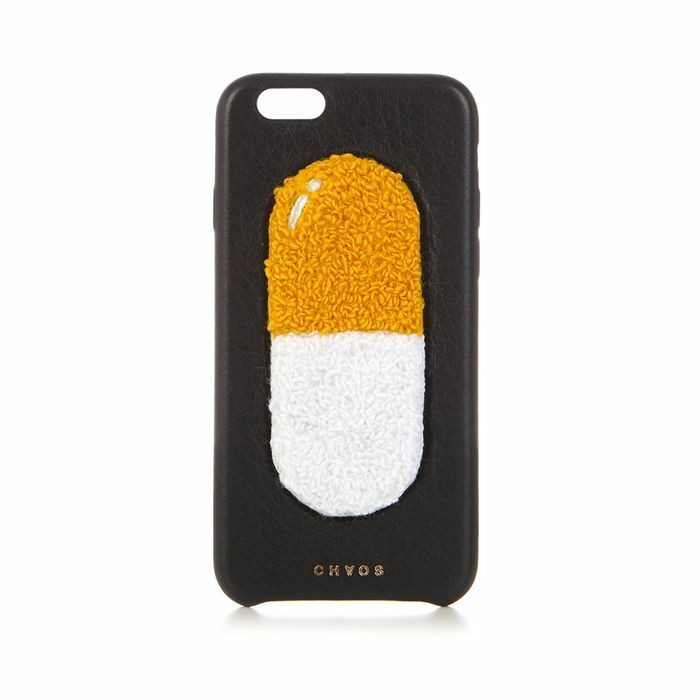 "We live on our phones," Stockdale tells MatchesFashion.com of their decision to launch with phone gear. "There are lots of high-end ones, but they’re not that interesting," adds Lyall. "Or you can get the silly plastic ones, but nothing in between. We just love things that have a sense of humor and personality but are still luxurious. Expensive doesn’t need to be serious." Stockdale and Lyall made sure to get the message across with all 19 of the models featured in the cool video for the brand, and we're obsessed. Check out the Chaos video featuring a who's who of the top fashion models below, and keep scrolling to shop our picks. Which model were you most surprised to see in this video? Tell us in the comments.